Lech consists of different districts which all have their different advantages: Dorf, Anger, Omesberg, Tannberg, Strass, Stubenbach, Oberlech, Zürs and Zug. Lech with Oberlech, Stubenbach, Zug and Zürs create a single large ski region with plenty of variety whose pistes end at the hotel door, and where guests from all over the world feel completely at home. Despite its excellent, worldwide reputation, ski holidays in Lech have a homely character, harmonious architecture and comfortably, welcoming atmosphere. Ski holidays in Lech offer a bright variety of wellfitted holiday solutions - no matter if you search for silence, want to party all the night or if you prefer ski in - ski out. 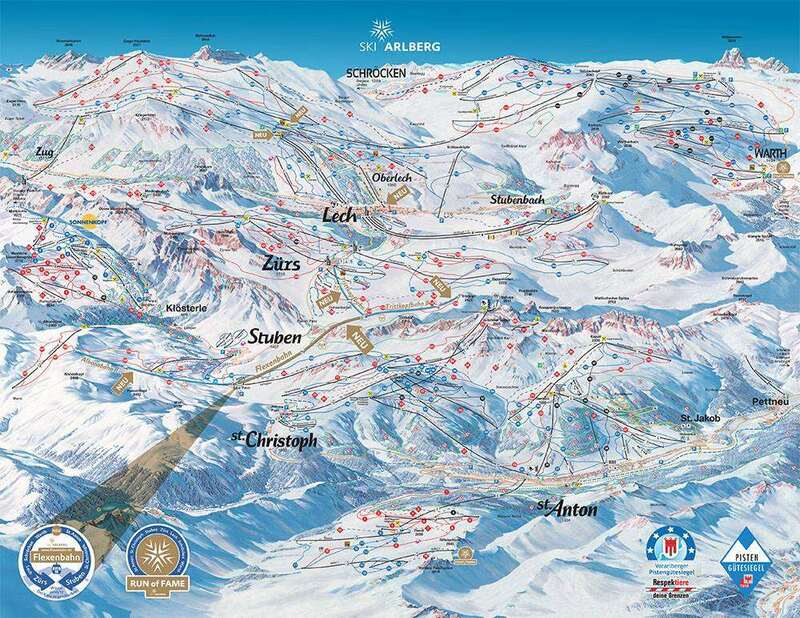 The ski pistes, ski routes and open slopes are spread between 1450 and 2800 metres above sea level. Cable cars, chair and drag lifts travel between the Rüfikopf, Madlock, Kriegerhorn and Mohnenfluh, transporting winter guests on a ski holiday in Lech to the most beautiful slopes for skiers of all abilities. 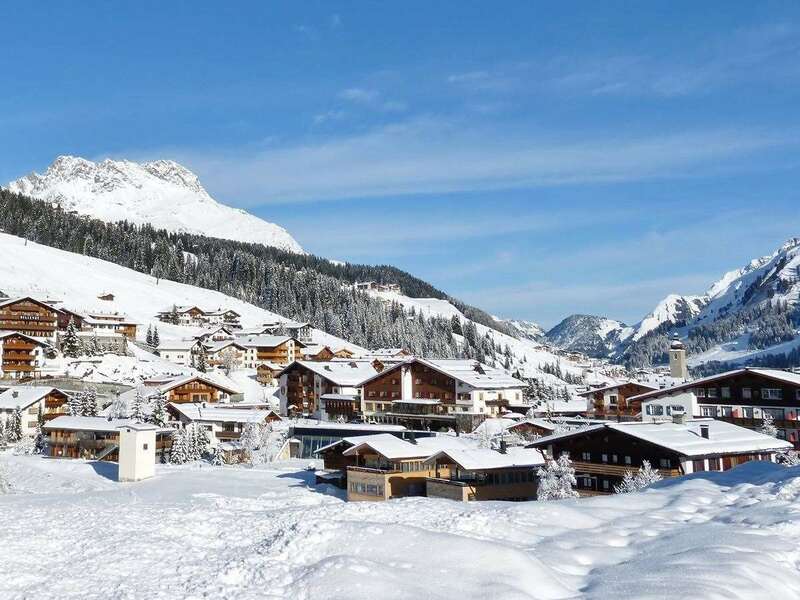 With 84 cable cars and lifts, 260 km of well-tended pistes and 180 km of open slopes, there is plenty of variety for every skier on a ski holiday in Lech. For snowboarders on a ski holiday in Lech, try out the Fun Park, 26 km of cross country tracks, 15 km of winter hiking trails, a natural toboggan run (floodlit in the evenings), horse-drawn sleigh rides, and numerous events throughout the season - ranging from Christmas markets to the Freeride contest. There are many snow making facilities across Lech's pistes which with added natural snowfall guarantees skiing throughout most of the season. Accommodation for ski holidays in Lech are available in every category, but always of the same high standard, and there are endless wellness facilities to ensure the guests' wellbeing. Restaurants, open-air snow bars, indoor bars and dancing provide entertainment for those on a ski holidays in Lech after a day on the slopes. In addition to every modern comfort provided for guests on ski holidays in Lech: thanks to the tunnel system, Oberlech is a traffic-free zone; the biomass heating plant provides heating and hot water for the majority of the buildings in Lech, traffic restrictions in the resorts and the carefully planned car parking facilities have all helped to raise the quality of life for residents and visitors. Lech isn’t suited for families on a budget. Lech is an affluent town with mostly high end properties and it’s a resort that offers the best of everything. Lech is one of a select 12 villages known as ‘Best of the Alps’. There is gourmet food in the restaurants, amazing views from most terraces and skiing suited for everyone in the extraordinary Arlberg ski area. For those that want to cruise around locally there is plenty of motorway skiing and for those that are full of beans you can cross the whole Arlberg towards St Anton and back again. On a powder day you cannot beat the ski area you get for manageable untracked skiing. The town itself has no high rise buildings; it’s a pretty and traditional village with many shop and restaurants. Lech is perfect if you are looking for something more up market for this ski season. Lech is perfect for a high end corporate groups that are happy to spend the money to get first class accommodation. The restaurants are fantastic and you’ll be able to order fine wine to impress no problem. If you’re looking for a party town then you’ll be better off in St Anton down the road. If you have a group with mixed ski ability then you’ll be happy in Lech as there is manageable skiing for all with access to advanced stops if wanted. Lech has a shorter transfer compared to most French resorts and there is also a train station in St Anton with access to a few surrounding international airports ( Munich, Zurich, Innsbruck, Friedrichshafen) which gives easy access for a group coming from all over the world. Just a 113 km away in Innsbruck airport which is accessible via a short drive or bus transfer.